I don’t actually know if this was launched in 2010 or not, but I love the idea of the Brownie Edge Pan. 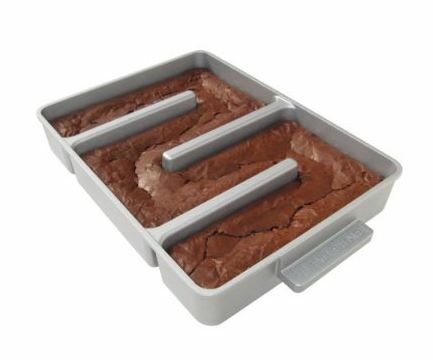 If you’re the sort of person who likes the brownies that have edges, this gives you more of them. Genius. 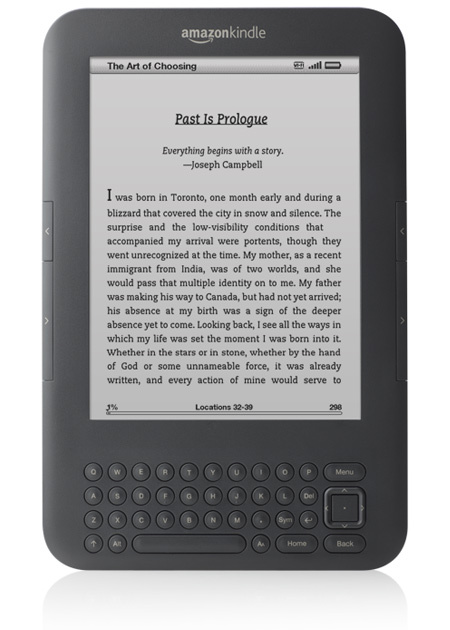 The Third Generation Amazon Kindle is also one of my favorites. As the New York Times recently pointed out, the iPad has not killed the Kindle. And optimization for reading, together with incremental improvements and and the addition of games continues to drive the Kindle forward. XBox Kinect is impressive technology. It’s now possible to play video games just by moving your body. For example, you can throw a discus, drive a car or jump over a log. It’s not just fun technology, it also shows that gesture recognition has a lot of potential as a means of interacting with software in many fields beyond gaming. NFL RedZone is a new concept in showing sport on television. Rather than showing a single game, the channel flicks between all the current games showing all the scoring as it happens. It’s a fairly intense way to watch sport, but undeniably innovative. 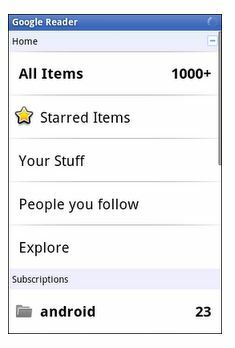 Finally, though the client version launched in 2006, the Google Reader for Android application just launched this month, and it’s the perfect way to read blogs on the go. Simple design, very well executed. PopSci also have their top 100 innovations of the year here, PopSop’s brand oriented list is here and Time’s list is here. Nice video on the value of iterative prototyping and the limitations of an MBA. A recent post from the Havard Business Review quotes a Babson survey that surveyed 149 global executives, with 51% saying that experimentation is their preferred approach to assessing potential opportunities. The post goes on to catalogue various approaches to experimentation such as prototyping, A/B testing and simulation. The article implies that prototyping should rise from 51% over time, and I think that’s probably right, but there are also a few cases where firms should just skip prototyping altogether and build the final product. There’s actually a mathematical relationship behind these three variables, but I’ll spare you the details. The first two are almost always true, for the first with a little imagination and creativity you can find a way to prototype that’s cheaper than the original design and for the second even if you think you’re design will work, there’s almost always something that can be learned from prototyping. However, the third point about the cost of failure is worth discussing because in some industries given the long tail phenomena you are better off skipping prototyping and just producing the final product. This is true if the costs of failure are low i.e. customers will just not buy the product, rather than buy it and have a bad experience hurting your reputation and increasing customers’ support costs. In these cases prototyping is actually a stage you don’t need, you should just get the product out there, and the line between a product and a prototype becomes so blurred as to be meaningless. Another implication from a portfolio perspective is how much time should be spent on analysis before building something (either product or prototype) starts, given the ease of prototyping, it certainly seems that the number of prototypes compared to products should be higher in almost all industries. This time of year is a good time to look back and take stock. These are the most popular posts of 2010 on this blog in terms of number of readers, thanks to the powerful analytics that my blogging tool (WordPress) offers. The Failure Of The FBI’s Virtual Case File Project – an analysis of what went wrong when the FBI took on an ambitious plan to integrate disparate IT systems. The Failure of Denver International Airport’s Automated Baggage System – an examination of what happened when Denver tried to implement an idea that was innovative, but unproven. BP’s Project Management of the Deepwater Disaster – An early assessment of how BP reacted to the Deepwater crisis from a project management perspective. Project Management Salaries – Are You Paid Enough? 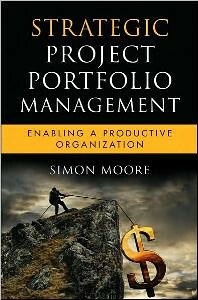 – An analysis of what determine’s salaries for project managers. The Myth of the Triple Constraint – An examination of one of the core tenets of project management and its shortcomings. Thanks for reading. Here’s to a great 2011. If you’re a frequent reader of this blog, you’ll remember that goals are important, so now’s a good time to set some for 2011 on both a professional and personal level. Founders at Work is a series of interviews with the founders or CEOs of some of the more innovative and successful technology start ups of the last 20 years. Companies covered include Apple, Craigslist, TripAdvisor, Yahoo!, Fogbugz and 37 Signals. The book is nothing more than edited interview transcripts, so it’s up to the reader to draw their own conclusions and insights, but it does make for interesting reading and the range of companies covered is a broad cross section of the tech industry. As much as I enjoyed the book, I should point out a technical weakness in the book if you’re looking to use it to determine what makes a start up successful. If you only look at successful start ups (as this book does) then you can’t actually determine what makes a start up successful. You would need to look at both successful and failed startups to do that, and then analyze the differences. This is because just because a successful start up does something such as having 3 co-founders or is very responsive to customers doesn’t mean that’s what’s causing the success, you could only get a scientific assessment on that by including failed start ups in the assessment too. Nonetheless, I still really enjoyed the book, and detailed scientific rigor probably wouldn’t have made for a great book anyway. Despite my caveat above, some apparent trends emerge about successful start ups. I found very interesting that the co-founders of Apple and Craigslist weren’t in it for the money and start up founders generally focused on passion more than financial gain in most cases. Secondly, many of the start ups were not linear and started from more technical roots, for example, Hotmail grew out of a database application as did HotorNot.com and TiVo was initially planned as a home server. Finally, many of the start ups hit on one particular feature that really delighted users that really drove their success such as Tivo’s ability to “pause live TV” or Hotmail giving you “anywhere email access”. These features were so compelling that they tended to drive viral adoption of many of the start ups. The founders were also generally negative on business people – what made them successful was hard, customer focused work and though the connections of Venture Capitalists helped, their advice often didn’t with many founders using their instincts more than anything to make good decisions. If you have interest in technology and entrepreneurship and don’t mind an ‘interview transcript’ approach, then I recommend this book. All book reviews on this blog are stored on this page. It’s interesting that marketeers are so focused on segmenting their audience and project managers often aren’t. To the marketeer it’s not about finding a message that will resonate with everyone, but finding a small group of interested people on the verge of making a purchase and tailoring the message to them. To a marketeer the ideal audience is small, but well understood. Things can grow from there. The reverse is true of the project manager, for the status update or the request to update time sheet it’s about broadcasting the same message to as large a group as possible. The emphasis is often about efficiency of communication. Perhaps project managers can learn something from marketeers. Something to think about for your next update or request – does everyone need to receive the same message? Of course it will take longer to tailor your message, but how many people are reading your status reports currently? 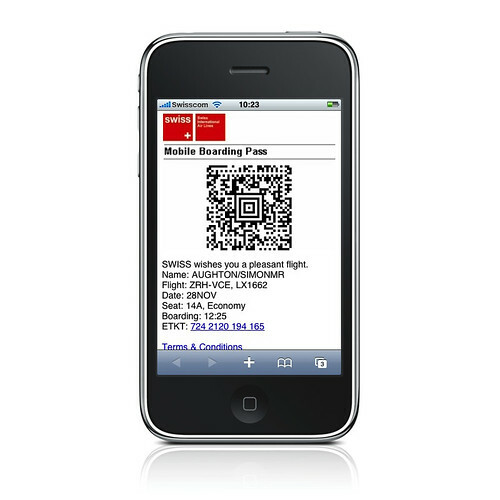 With mobile phone based boarding passes, it feels like part of the future is finally here. Rather than printing out a boarding pass you can simply download it on your phone and display it during the boarding process. Having now used it a few times now, here are my observations. This seems to have potential to delay the boarding process. Often when you come up to check in your phone is either locked or doing something else, and navigating back to the relevant email and downloading the image all takes quite a while, especially when you have a long line of people behind you. Because of the potential for social embarrassment from point 1. above you try to ensure that your phone is clearly displaying the pass well before you need it, but this makes it impossible to do other things on your phone while you’re waiting in line for airport security, so that wait becomes more tedious. The barcode on the pass is supposed to be electronically scanned, this is hard to get right and requires a few attempts each time I’ve seen it done, again slowing the boarding process. Finally, I’m not sure what you’re supposed to do when your phone battery dies. So though I was excited about this idea, I’m not sure I’ll use it much. Regardless of the type of work you do, one of the biggest challenges is controlling your time efficiently. This means spending more time on the things that matter and less on the things that don’t. Here are a few tips for doing that. Given the tips that follow it my seem strange to start with something as macro as goals, but it’s important. If you don’t know where you’re going, then you’re less likely to get there. I typically have a list of 5 things (give or take) that are my main goals for the year. Having this list is a good sanity check on whether I’m working towards them or not. If you use an email tool like Microsoft Outlook, what do you look at first, your calendar or your inbox? It’s so tempting to be attracted to the novelty of new messages in your inbox or voicemail, but the sum of these messages isn’t the work you should be doing, it’s the work others want you to do, and that’s a very different thing. Again it’s tempting to deal with new messages as they come in, but this is distracting and inefficient. Academic research has show it takes 11 minutes to recover what you were doing after a distraction, and email and phone calls provide a lot of distraction. I think David Allen coined the idea that you should only touch something once. That means instead of filing something to do later, you should address it as soon as you read it. For most things this is easier than it sounds and even hard decisions aren’t necessarily better if you take more time to think about them. During 2010 I’ve tried to read more books. Here I describe those that have stood out. A note on timing – 2010 is the year I’ve read these books, most were published earlier. One of the best ways to really understand strategy is good military history, and this is excellent military history. It describes Hannibal and his military engagements with the Roman Empire, all the more impressive because the events happened so long ago and the research required to produce this account is tremendous. This is a great series, driven primarily by the development of such a strong lead character. I don’t read much fiction, but this was by far the best fiction I read. This book isn’t even close to being published in 2010, but it’s a series of essays by Aldous Huxley (author of Brave New World) by far the most interesting essay is the one where Huxley takes the narcotic, mescaline (similar to LSD) and writes about it. It’s meticulously well observed, and the book is worth this essay alone. This is one bleak book. The author was murdered on Putin’s birthday. The fragments of her diary lack flow and cohesion, but still a picture emerges of the darker side of Russia. It’s a very one sided account of course, but something we should all consider. A perfect, brief manifesto from the successful startup 37 Signals on how businesses should be run. Short and very readable. How Fast Can You Fail? Which is worse: under-estimation or over-estimation?